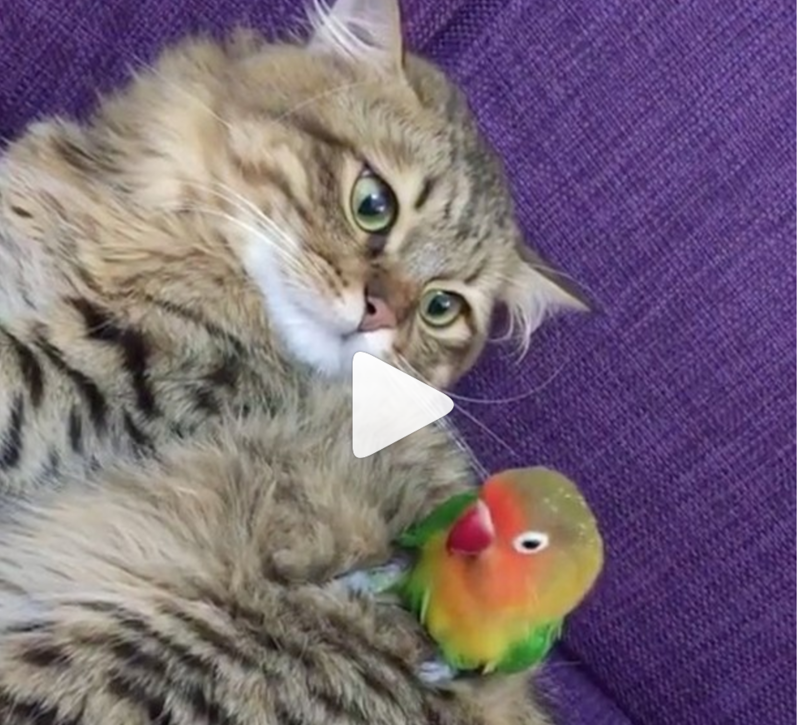 A small parrot–looks like a lovebird– gets a tad too familiar with Lulu the cat. No worries; they’re roommates. But you’ve got to love the seriously annoyed expression on the cat’s face.